(Newser) – An underage mountain lion has been caught after trying to slip into a casino in downtown Reno, ahead of the breakfast rush. 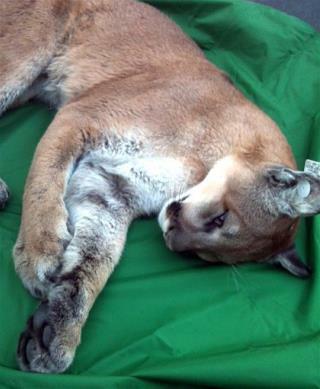 Nevada Department of Wildlife spokesman Chris Healy says the young male cat's behavior was "almost the equivalent of being a stupid teenager." Healy says coming-of-age cougars often end up where they shouldn't after being chased out of a territory by adults. Thank you for not killing it. But that had to be one hell of a sight. He wanted to check out the buffet.